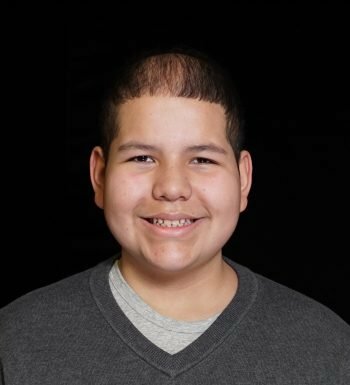 Gabriel was a normal, healthy, and active boy who was 9 years old and had just started 4th grade in the fall of 2013. Gabe had been saying he had headaches for months, and we’d been in and out of the doctor’s office countless times. On Friday, August 16th, we decided to keep him home from school because he didn’t feel good. Later in the day he was dizzy and could not hold himself up. We took him to the ER at Children’s Hospital Colorado and our lives turned upside down. Just as Gabe was beginning to recover from the emergency surgery, he had to endure another to put in a chemo port and a shunt in his brain to redistribute the excess spinal fluid into his abdomen. Gabe spent a month in the hospital before beginning his treatment which consisted of 6 weeks of daily radiation and 6 months of high dose chemotherapy. In February 2014, Gabe’s scans showed that his brain and spine were clear of tumors. Gabe endured chemotherapy through the end of May to ensure any and all remaining cancer cells were destroyed. In June, another set of scans showed no tumors in his brain or spine, but Gabe was not in complete remission because there were still cancer cells in his brain. Before my son’s diagnosis, I had no idea there were so many other kids fighting this horrible disease. Once we started visiting the Center for Cancer and Blood Disorders for treatment and we found the entire 7th floor of Children’s Hospital Colorado filled with kids fighting for their lives. Some did not make it, and others we met are still fighting. Gabe remains stable, although he has scans every 3 months to make sure it does not come back. It is my biggest worry as a mother. I will always continue to fight for childhood cancer awareness, not only for Gabe, but for future generations of children and young adults who will be diagnosed, for those who are still fighting, and for the angels who did not get a cure. If we can raise awareness, we can help support finding a cure! My hope is that other kids will not have to go through the harsh treatment Gabe and so many other kids like him have endured. 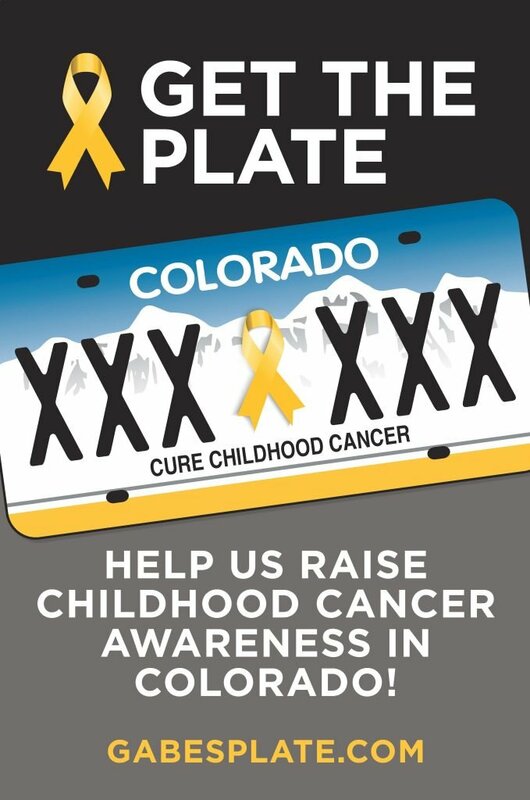 For the past two years, Gabe has been working diligently to make the Cure Childhood Cancer special license plate for Colorado a reality.